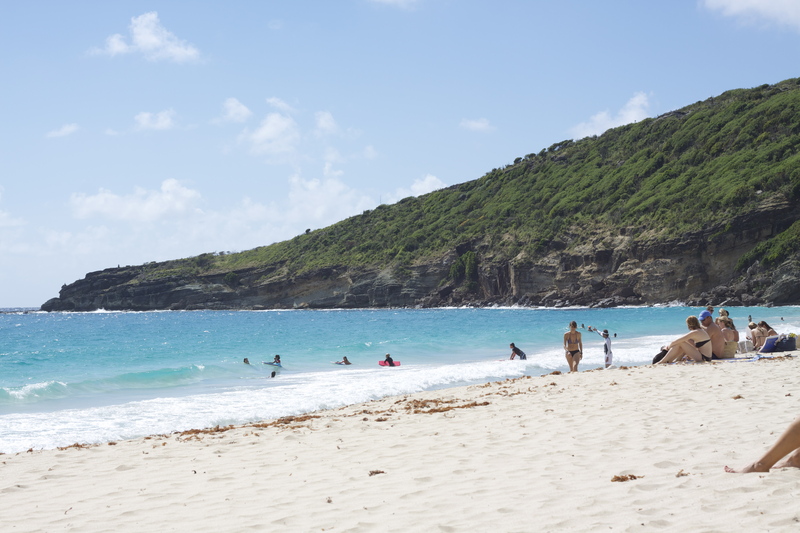 Saline Beach with humans. To prevent encroaching visitors we set up a radius of garlic. but it didn't work. L'Orient and Point Milou from Villa deck. I know, it's hideous. Just glad you can't see the naked people from this distance. Also, we were high on mosquito coil so it was hard to focus the camera. Lala, in a fit of housekeeping fervor, lit one of those little coils, left it on while she went to zumba. The house was unlivable after that, and we had to go sleep in the separate bungalow. This would have been fine and good, except for then the world’s largest storm (opinions on this vary widely, as Laszlo insists “it was nothing,” hit St Barthelemy. All night long we were pummeled and shaken and terrified by the wrath of God or Kahn or someone I pissed off at Starbucks who then died and held a grudge. Even the lizards, who like to take refuge in the house to Laszlo’s undying horror, wouldn’t go near the main house: the nefarious mosquito coil was keeping all beings away. All beings — except for mosquitos. They came in the usual droves. Columbier at sundown, when the mosquitos rise to fight the humans, and many lives are lost on both sides. Today, when we finally woke up from the tempest, we went to write and paint at Le Tamarin. 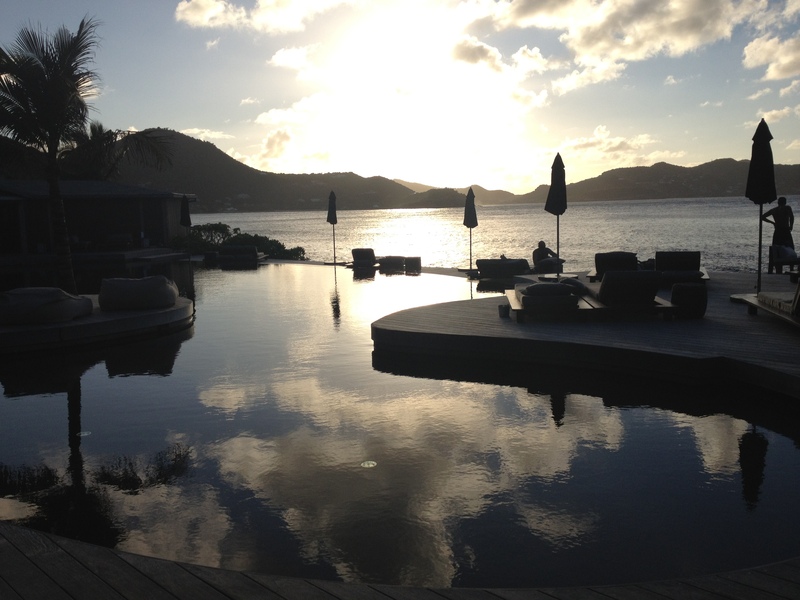 Visitors to St. Barthelemy: if you need a cute lunch spot (dinner as well) GO TO LE TAMARIN. It’s delicious and the little “garden” is filled with interesting furniture-type stuff, buddhas, pillows, parrots, etc. It has a French Polynesian flair and has been in existence for 25 years. The owner Sabine is awesome and supports Lala in her ban of all things two-wheeled when it comes to island transportation. Hear that, Laszlo? NO SCOOTER FOR YOU. 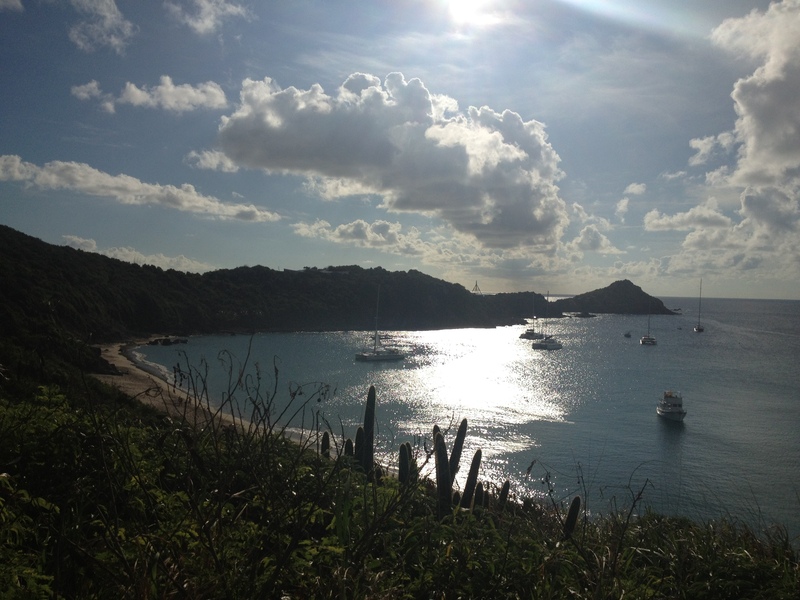 Here are some more gratuitous pictures of St. Barth’s beaches and stuff. 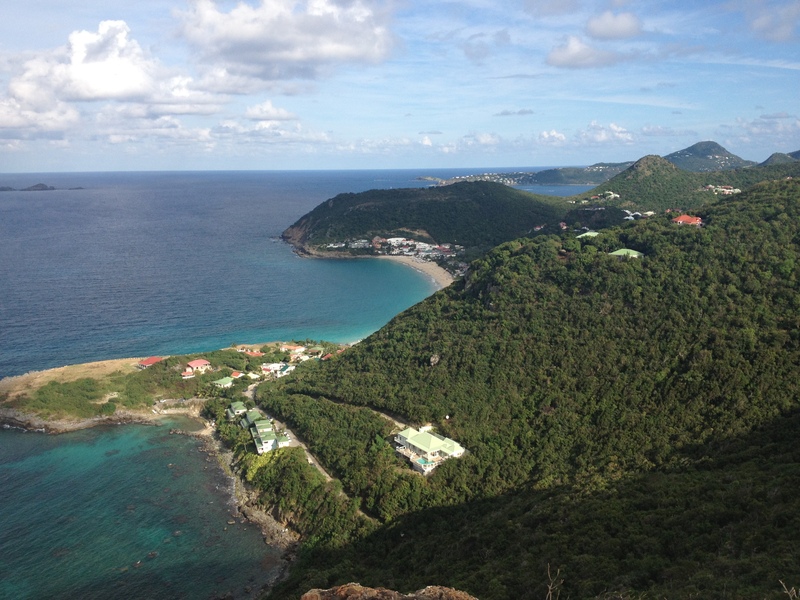 A view of St. Barthelemy from high above Flamands, looking Eastward toward the East. And destiny. Hotel Christoper Pool. "Wow that's so nice," said Laszlo. The couple behind us asked us to get out of the way of the view. 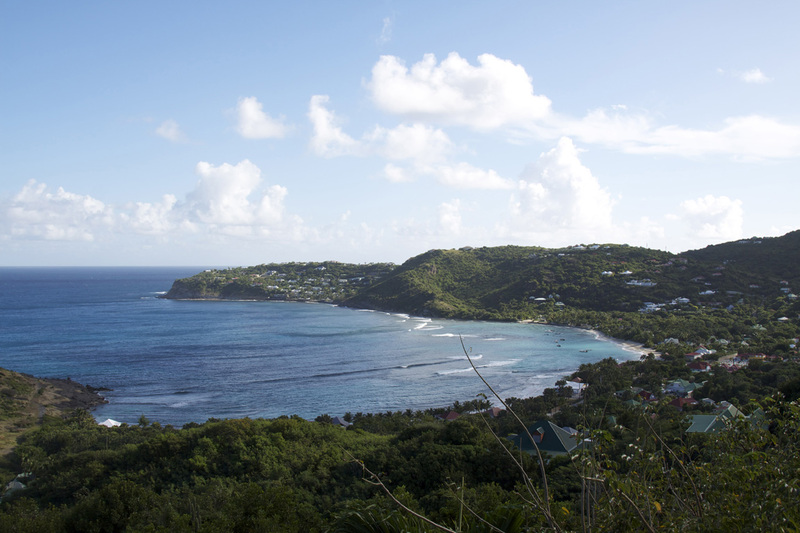 This entry was posted in beach manners, Laszlo Von Glitz, St. Barthelemy, travel and leisure, Working vacations and tagged Barthelemy, Caribbean, Flamands, Gouverneur Beach, Gouverneurs Beach, Gustavia Saint Barthélemy, Lala, Laszlo, Laszlo Von Glitz, Le Tamarin, milou, mosquito coil, mosquitos, Recreation, Sabine, Saint Barthélemy, st barth, St Barths, St. Barthelemy by Wednesday Black. Bookmark the permalink.